"I see the wise woman. And she sees me. She smiles from shrines in thousands of places. She is buried in the ground of every country. She flows in every river and pulses in the oceans. The wise woman's robe flows down your back, centering you in the ever-changing, ever-spiraling mystery. Everywhere I look, the wise woman looks back. And she smiles." There is rich irony in the development of my passion for working with plants, as the passion was birthed in Los Angeles surrounded by nature, but really nurtured and developed in NYC surrounded by concrete and glass. You develop a true appreciation for that which is hardest to access, I guess. While I love experimenting with creating my own herbal remedies, tinctures, and oils, going with a tried and true formula from a specialist is always a win. I had given up on beauty products and makeup long ago, sticking to a routine of coconut oil and Dr. Bronners. While these are still my main staples, I'm discovering that some things work better than the basics AND leave out the chemicals. Here's some of my favorites, from women who work with plants on an energetic as well as physical level. DISCLAIMER: Most of these products I was introduced to via selling at markets with the maker, so many of these women have become friends of mine, which only adds to my appreciation for their products! Malaya Hair Oil - it lasts forever, just a few drops is all you need. After a few months of using it I noticed my hair, which usually refuses to grow longer than a few inches past my shoulders, was longer than ever before. Winning! Witchey Handmade La Reine De Rose Face Oil - A simple formula based in rosehip seed oil that is perfect for dry winter months. I usually apply at night after a shower so it can soak in overnight. It's a dry oil, which means it soaks in without leaving a greasy residue. It's also great for problem or sensitive skin. Fat and the Moon - Lip and Cheek Balm, Sensitive Pit Cream - I bought my first jar of their Lip and Cheek Balm about 4 years ago. I finally replaced it last month, after having used every last drop of the original jar... as disturbing as it is that I've been using the same pot o' gloss for that many years, it is a testament to how long this stuff stays on. Their sensitive pit cream is free of baking soda, an ingredient found in many natural deodorants that I find mildly irritating, so stoked that they created this version of their original formula (I also am in love with the basil vetiver scent... swoon) it doesn't last as long as regular deodorants, but they sell it in little to-go size tins so you're always covered. They also make all natural eye colors, which do require a mid-day touch-up, but considering the lack of chemicals, it's a trade off I'm willing to make for a product that goes so close to one of my most sensitive (and important!) organs. Perfumera Curandera - Camino - smells like a spiritual awakening, but I'll let her do the talking "Amazonian essences of earth and forest align us with our sacred center. Magical Piri Piri, and Motelilo roots and holy wood from the Peruvian altiplano are balanced by creamy sandalwood and clarifying frankincense. Herbal hints of white sage and clary sage with tinctures of medicinal plants soothe and uplift the spirit." she also teaches incense making classes! Sun + Glory - UPON - It appears this perfume is only available in her pop-up shop, but her pup Wiley is so cute you'll be happy you took a trip for it! A mix of patchouli, rose, turmeric and benzoin, my hippie soul is in love! 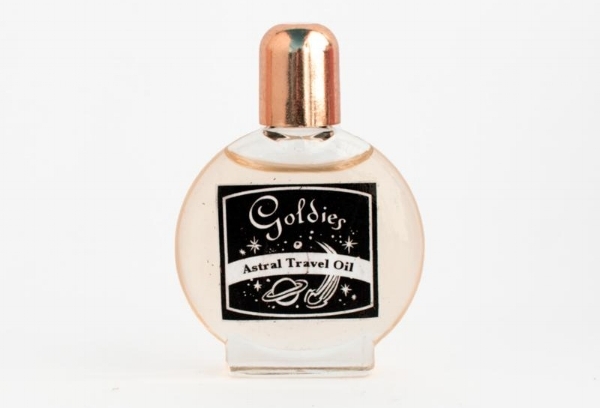 Golden Potion - The Passage - Phaedra has got a cult following up here in the Catskills, when she explained her reason for creating this scent, I had to try it out. Its frankincense and copal based formula is tranquilizing in the best way. In her words... "I created this blend post-election while feeling a bit unsure and in need of more than just a little peace, love, and understanding. It has brought a deep sense of strength and relief while on this journey riddled with uncertainty." All images courtesy of the respective websites (except the first one, taken by me).